Your next party just got so much better. We all associate the holiday season as an opportunity to indulge in piles and piles of glorious food and hundreds of pumpkin-spice baked goods. 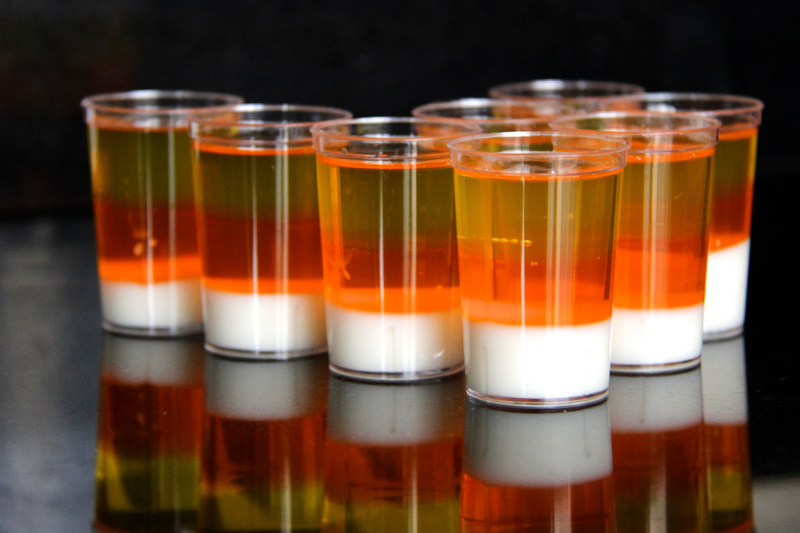 But we shouldn’t forget about all the wonderful holiday-inspired boozy recipes, such as these candy corn jello shots. They look as good as they taste, and they are sure to be a hit at your next party! It’s probably important to note that these aren’t candy corn flavored, they just look like candy corn. They taste mostly like your basic jello shot. Recipe adapted from A Beautiful Mess. 1. Pour 1 cup water and 1 envelope of the unflavored gelatin into a saucepan. Heat on a stove over medium heat, stirring occasionally until all the gelatin powder dissolves (about 5 minutes). 2. Remove the pan from heat and add your sweetened condensed milk. Mix well. 3. Add ½ cup vodka. 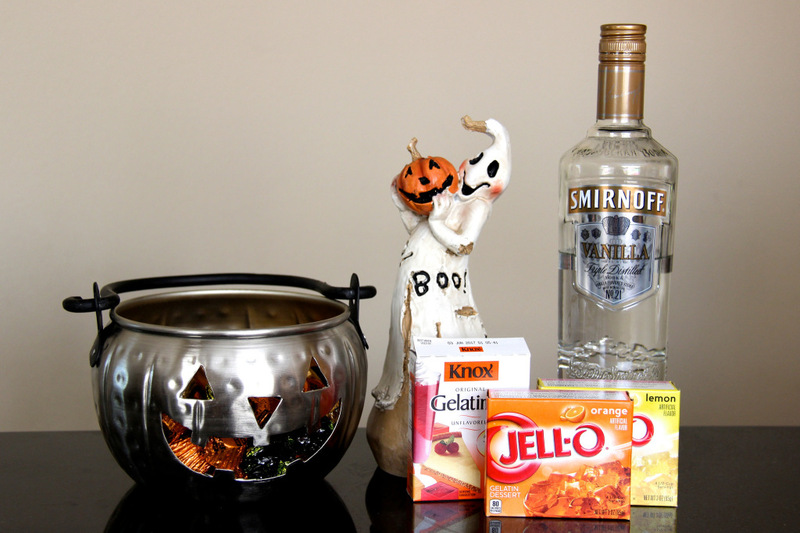 Make sure the mixture is completely cooled so you don’t cook the alcohol out. 4. Fill each shot glass up 1/3 of the way with the condensed mixture. Then, refrigerate the shots for 30-40 minutes or until firm. 5. 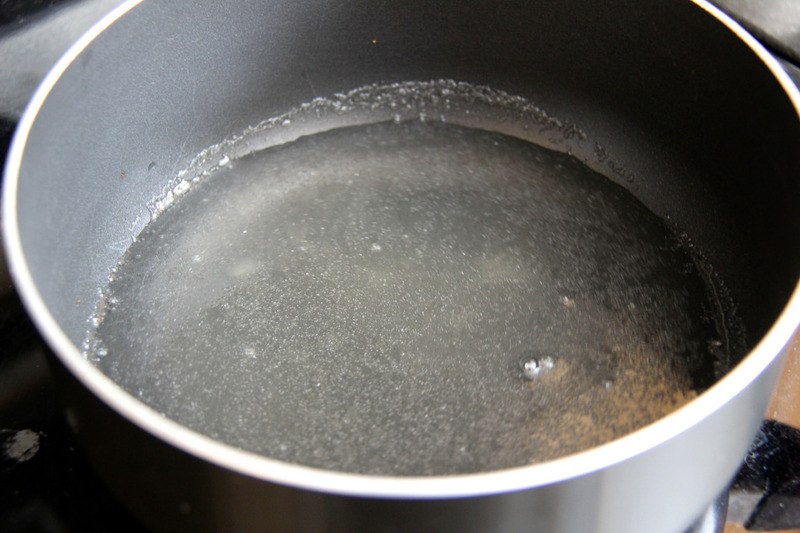 In a new saucepan, pour 1 cup of water and 1 envelope of gelatin. Repeat step 1, stirring until the gelatin is dissolved. 6. 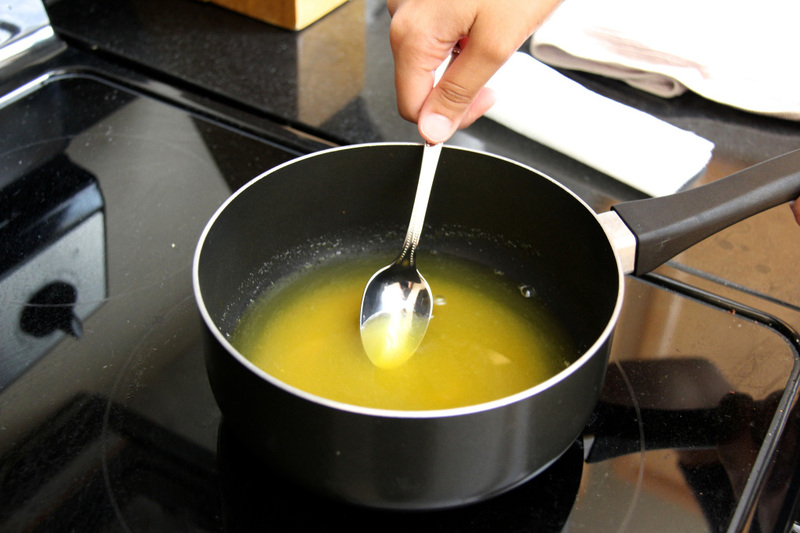 Remove the pan from heat and add your box of orange gelatin mix. Stir until completely dissolved. 7. Add ½ cup of vodka and stir until combined. 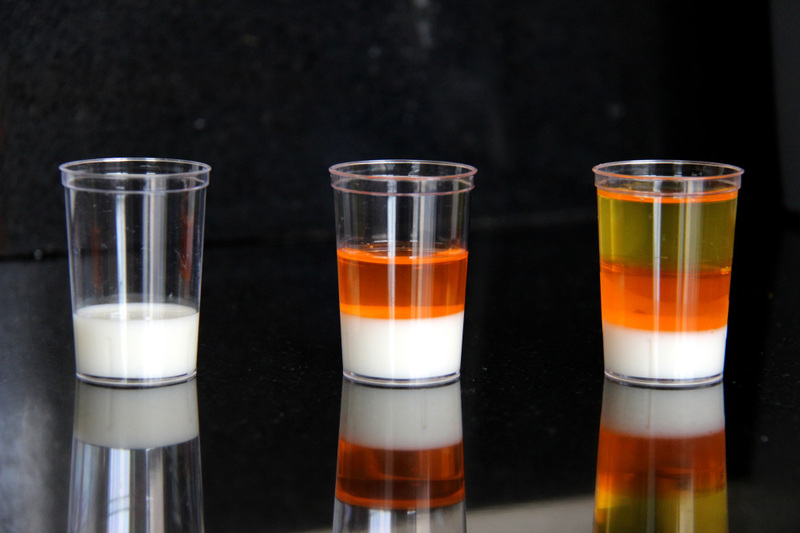 Then, pour your orange gelatin mixture to 2/3 of the way of each shot glass. Refrigerate for another 30-40 minutes. 8. Repeat steps 5 and 6 with the lemon Jell-O, filling the shot glasses up to the top. Refrigerate for another 30 minutes, then enjoy!